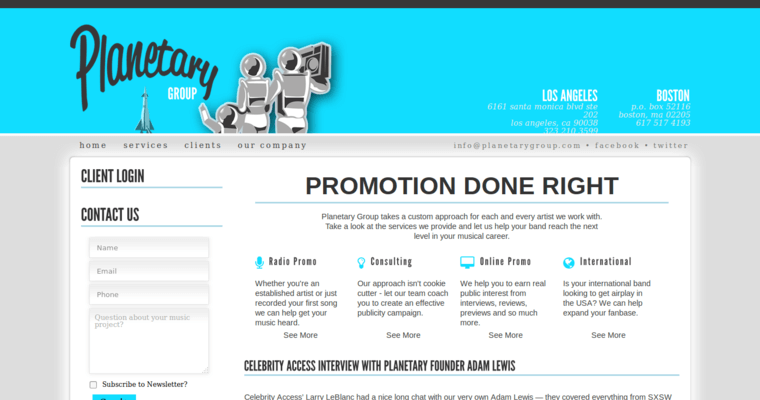 The Planetary Group offers music promotion services that helps get musicians on the map. The company runs its main offices out of Los Angles and Boston. Chris Davies and Adam Lewis founded the company in 1996. 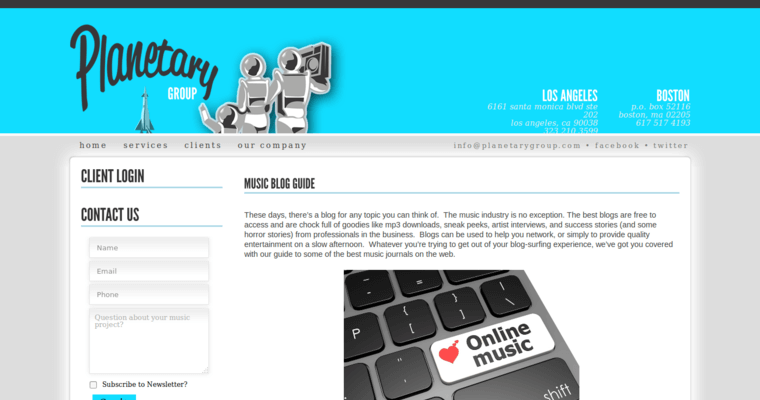 Their primary goal is to offer services that help develop artists. Planetary helps identify the best release outlets, and the company has a firm grip on the music scene’s pulse. Planetary works with a variety of musicians in every music category. These are artists with contracts, no contracts, independents, and music professionals working with major labels. 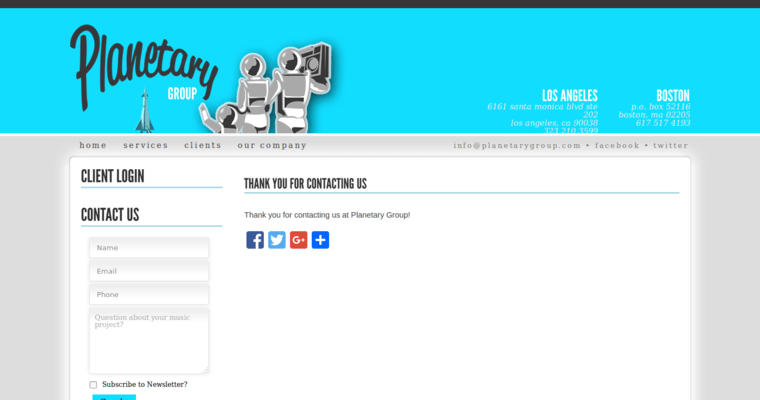 Planetary offers value in being to create solid foundations for artists breaking into the industry as well.